A Guide to Support Mental Health and Well-Being of Children and Youth who are Deaf/deaf and Hard of Hearing was created in 2015 for children in Ontario’s schools. It provides grade specific tools and strategies for parents and teachers, specifies risk factors and relevant child development. 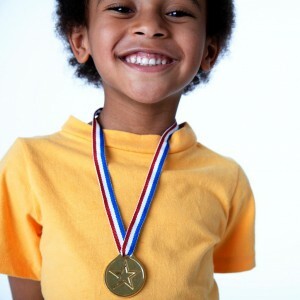 A child’s self-concept is his belief about how worthwhile he is. Self-concept is how the child sees himself. It is made up of a sense of belonging and being accepted, a sense of being good, and a sense of being capable of doing things well. Self-concept represents the sum of an individual’s beliefs about his or her own attributes. Self-concept is built on good relationships – and good relationships are built on communication. Children with hearing loss are at-risk for lower self-concepts. This is because they miss communication and subtle social interactions that occur outside of their ‘listening bubble’. It is also related to how people in their environment react to their wearing hearing devices and/or using visual communication methods. 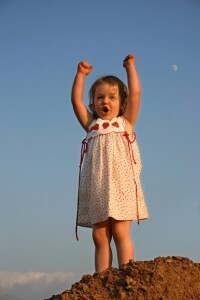 Toddlers tend to have a lot of self-confidence. They are eager to explore new thoughts, feelings, objects, and people. School-age children are often unsure. They may doubt their abilities as they learn to do things on their own. Pre-adolescents may feel embarrassed and sensitive about their bodies. As they mature, they may feel confident one minute and insecure the next. High-school kids feel the challenge of independence. They need to stand apart from their parents and other adults. Peer acceptance becomes an importance confidence-builder. 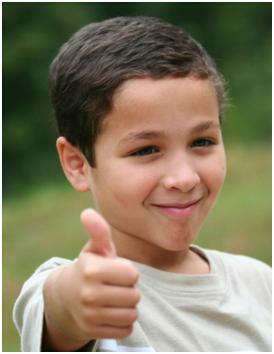 Look here for worksheets you can use to develop recognizing emotions and self-esteem. Teach children to change their demands to preferences. Point out to children that there is no reason they must get everything they want and that they need not feel angry either. Encourage them to work against anger by setting a good example and by reinforcing them when they display appropriate irritation rather than anger. Encourage children to ask for what they want assertively, pointing out that there is no guarantee that they will get it. Reinforce them for asking and avoid anticipating their desires. Let children know they create and are responsible for any feeling they experience. Likewise, they are not responsible for others’ feelings. Avoid blaming children for how you feel. Encourage children to develop hobbies and interests which give them pleasure and which they can pursue independently. Let children settle their own disputes between siblings and friends as much as possible. Help children learn to focus on their strengths by pointing out to them all the things they can do. Encourage children to behave toward themselves the way they’d like their friends to behave toward them. Help children think in terms of alternative options and possibilities rather than depending upon one option for satisfaction. 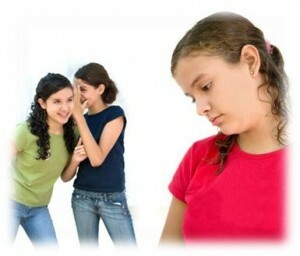 A child who has only one friend and loses that friend is friendless. However, a child who has many friends and loses one, still has many. This same principle holds true in many different areas. Whenever you think there is only one thing which can satisfy you, you limit your potential for being satisfied! The more you help a child realize that there are many options in every situation, the more you increase his or her potential for satisfaction. Laugh with the child and encourage them to laugh at themselves. People who take themselves very seriously are undoubtedly decreasing their enjoyment in life. A good sense of humor and the ability to make light of life are important ingredients for increasing one’s overall enjoyment.